It will be fair to say there has not been any female super-hero till date who has created as many ripples as the protagonist of the DC super-hero flick Wonder Woman has. And needless to say, former beauty queen Gal Gadot's portrayal of Wonder Woman in the recent movie is beyond par and for reasons justifiable, people cannot stop gushing over her power-packed performance. Given the fact that Gal was pregnant while filming the movie has got her only as many fans and admirers for showing sheer dedication towards her work. That's indeed super-heroic! But did you know that she was just not interested in competing at the Miss Universe pageant where she represented her country Israel in 2004? 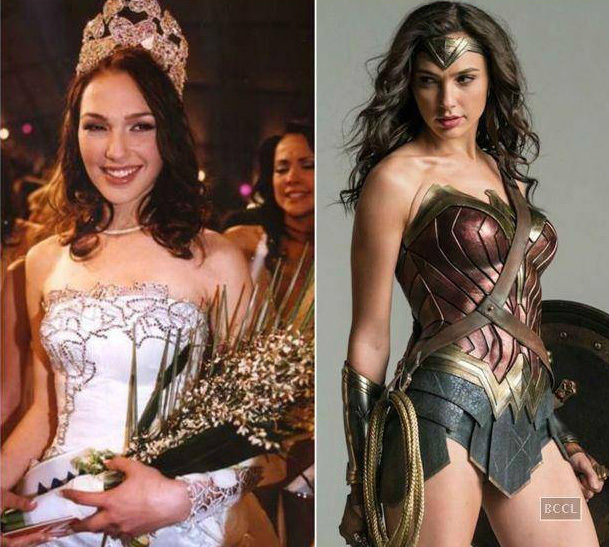 In an interview with a magazine, Gal is seen revealing her reason for her poor performance at the Miss Universe pageant in 2004. When asked her about winning the Miss Israel 2004 pageant she says, "I never thought I would win and then I won and it scared me." Although representing your country is a matter of great pride and responsibility, but such was not the thing with our Wonder-woman. She did not even want to be a pageant queen at the first place. Talking about her experience at the Miss Universe 2004 pageant she says, "I was very naughty. I wasn't behaving. I am a really good girl, but because I was afraid I am going to win again because I did not want to win the Miss Israel pageant and I won. I figured oh no, I don't want them to choose me again, so I came down late for rehearsals. I wasn't wearing the right evening gowns for breakfast. I even remember Paula Abdul, she was one of the judges there. She was asking me a question and I was like, 'I am sorry, English not so good.'" Well, we are just glad today that she did indeed consider acting as a profession. Check out her interview in which she talks about her pageant days.